Mining Rap And Spoken Word, ÌFÉ Continues To Innovate And Expand Afro-Cubanism : Alt.Latino The Puerto Rican group ÌFÉ celebrates traditional Afro-Cuban rumba — but has added poetry and rapping on this new remix of a song from their groundbreaking debut album. Earlier this year, I sang the praises of the debut full-length album by the group ÌFÉ, a dramatic meditation on traditional Afro-Cuban rumba and santeria music. After seeing the band live in Philadelphia, I was even more convinced that its spirit of innovation is just as intense as its dedication to tradition. 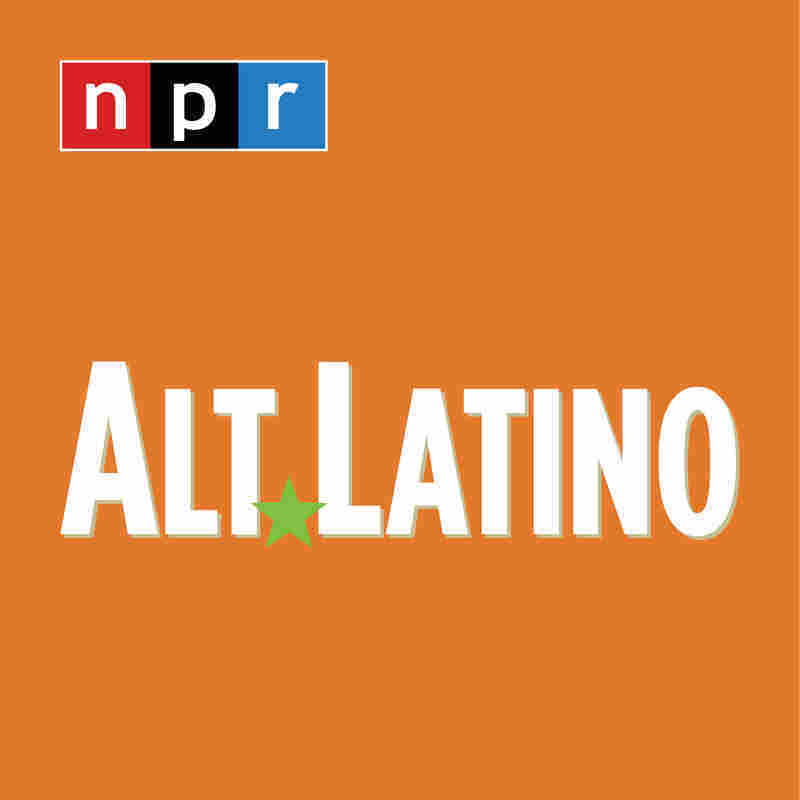 They've just released a remix which challenges the concept of "remix," in that it is not an electronic re-imagination of their song "Tres Mujeres" but rather a faithful rendering of the song, with Afro-Cuban rapping and a spoken-word performance added to the electronic flavorings that made the track so exciting in the first place. Bandleader Otura Mun has tapped into the vibrant Cuban rap scene to further explore the beauty of the musical manifestation of santería worship. Santería is a very musical faith, with ceremonies centered around hundreds of chants and songs dedicated to various deities. Much like gospel singing has influenced modern music here in the U.S., ceremonial santería music has had a profound influence on contemporary Cuban music, especially over the last 40 years. Lending their voices to the track are three up-and-coming Cuban rappers: El Individuo (Rafa Bou), JD Madafaca (Jadit Prieto) and Positivo Siempre (Osmani Fernandez Lopez). Spoken-word artist Amehel Mission Raíz (Amehel Incera Cepeda also appears. 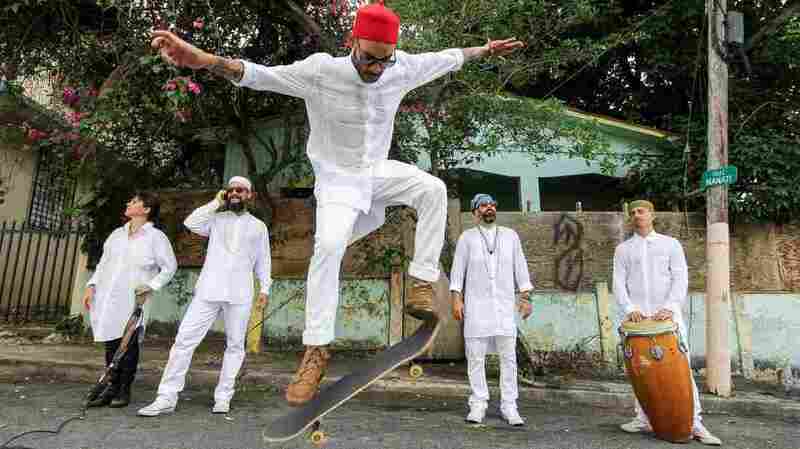 What is fascinating is to me is that these rappers are expressing words of devotion and prayer, devoting themselves to the guidance and wisdom of the orishas, or saints, of this faith. The poetry of the lyrics is just one element to appreciate, but there is also the flow of the rappers against the electronic rumba being laid down by the members of ÌFÉ that adds to its musicality. It's as if the voices are another layer of rhythm instruments. It's another stunning statement, and expression, from a band that seems to have no limits on its creativity.